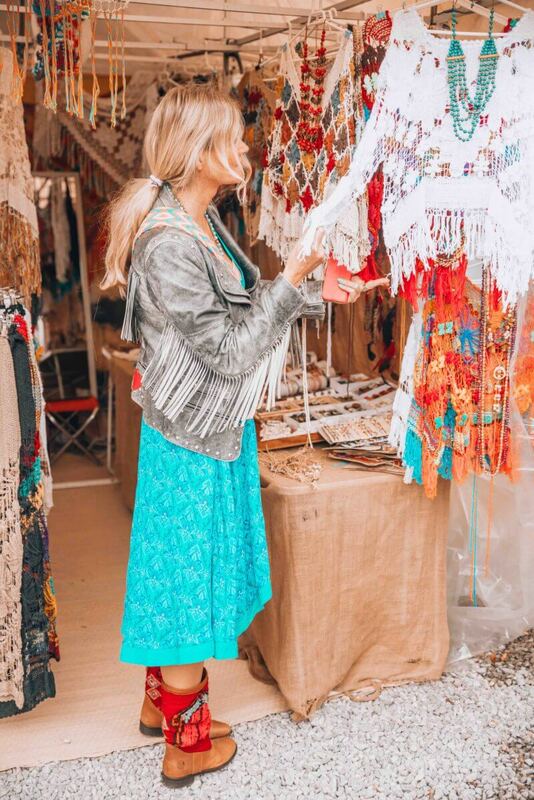 When you plan your trip to the island you definitely have to visit one of the Ibiza hippie markets. Nothing breathes the Ibiza style more than those old market where you shop till you drop. 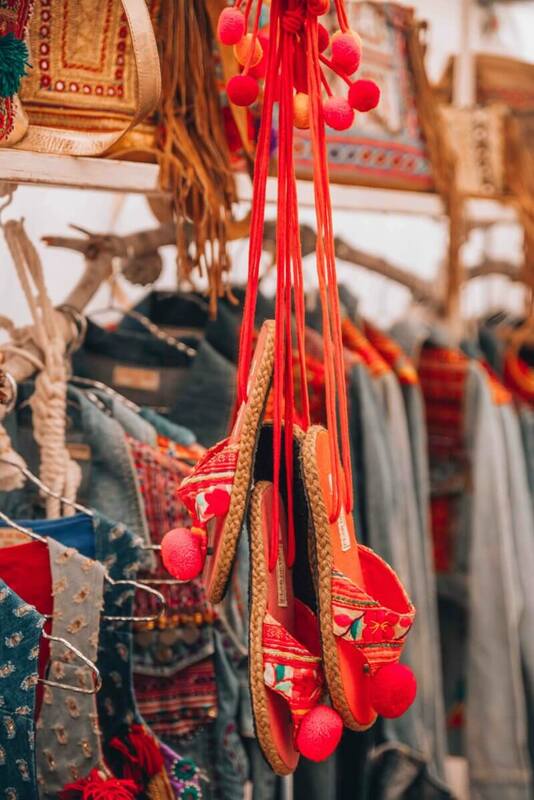 Here you can still find the original designers from the island, authentic Ibiza food, and that true hippie vibe. Find those boots you've been looking for for ages and that one special Ibiza style tunic. Yes, you can find it all in these markets. Las Dalias – Sant Carles, every Saturday and high season also on Monday and Tuesday evenings. As I usually travel to Ibiza during the weekends I mostly visit the Las Dalias market, but most vendors have a stand at both. If you are traveling during high season the night market at Las Dalias is a great alternative if you don't want to go shopping in the blistering sun. Get a pair of boots. The first time I went to Las Dalias I just fell in love with those Ibiza style boots. Yes, they don't come cheap, but I regretted NOT buying them for over a year. So when you go check out those fabulous Kilim Boots or get yourself a pair of Emonk's. Get a bag. Ibiza is a colorful island and it seems only fair you get the right style of bag with it. And let's be honest. There is always room for one more bag right? If you are going to Las Dalias check out the stand of WorldFamilyIbiza or Flor de Vida. This year I got myself one of those big half moon bags in blue. Perfect for the beach. You can find that stand right across the entrance by the name Salvaje Atelier. Get some jewelry. Are you a jewelry freak like me? Then you just have to pay a visit to Puchi Tibet Ibiza. This store holds an amazing collection of Tibetan rings, necklaces, and earrings. Good quality!! If you have no time for Las Dalias you can also find her on Wednesday at the Es Canar market. I never leave the market without getting a new ring here. What do love to buy on the hippie markets? Can you easily spend your whole day here too? 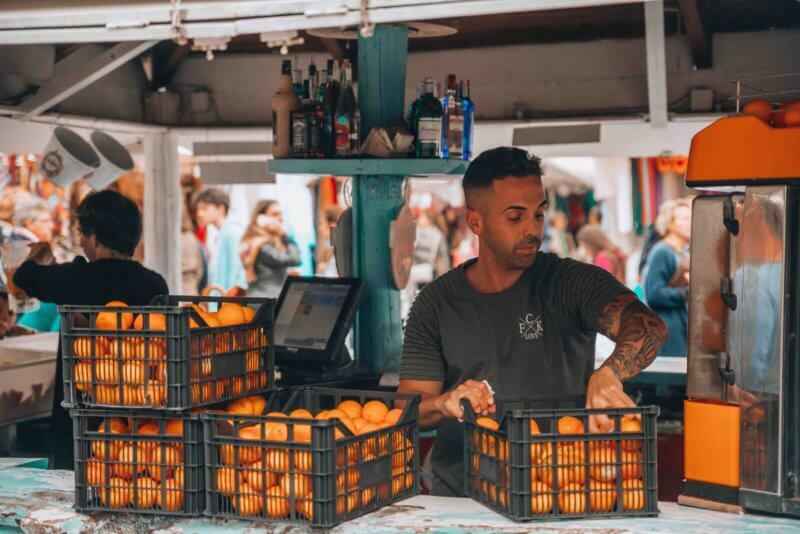 Drop me a note and let me know what you love to buy on these Ibiza markets. we love your photos on Instagram and we think, that the products from our label Sandlovers would perfectly fit your style. Sandlovers is producing colourful leather Flip-Flops and Accessoires, handcrafted in Kenya. We combine our passion for quality with the desire from our customers of being on an endless beach, feeling the warmth of the African sun on their skin. For more information about our company, products, working conditions and ethic fundamentals please check http://www.sandlovers.com. There is such a happiness in your photos and we are sure you would like our Sandlovers. Therefore we would be very glad if we could send you a pair of our Flip-Flops (of course without any obligation). If you would like us to do please let me know your size of shoes amd address where we can send the shoes. Thank you Yvon for mentioning us here! Lots of love from Colorful4U !! !